I’ve definitely been bitten by the vintage drum bug over the past year. Since picking up a nice Ludwig Acrolite in the spring of 2014, I’ve become a bit obsessed and have started a nice collection of snare drums. There’s a ton of information online about seemingly every make and model of drum, although sometimes the first source isn’t always right. Take this 1981 Tama Superstar snare drum I picked up about a month ago. 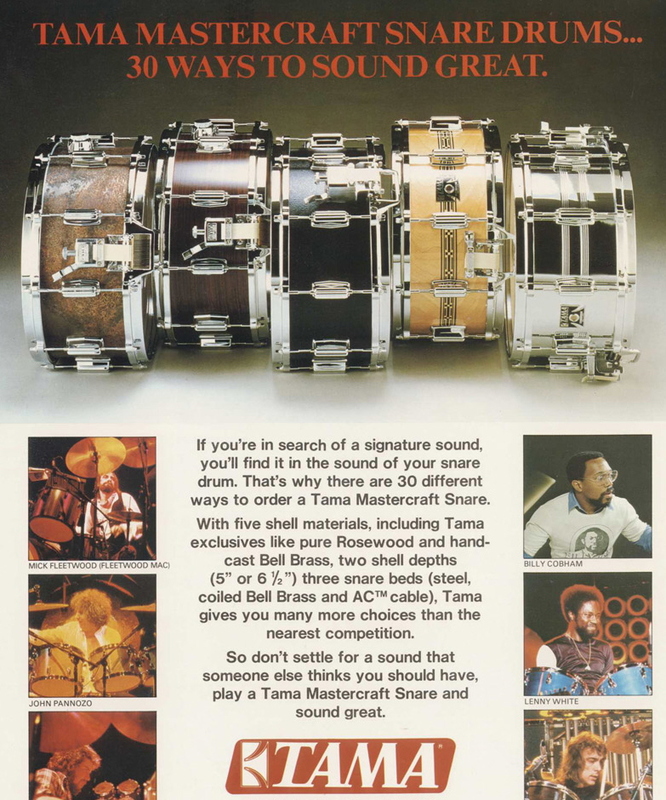 It appears in a 1981 Tama catalogue with the name Mastercraft Artwood, and the description says the shell is six plies of rock maple. However, a number of people on-line dispute that fact – in reality, it’s a birch shell. 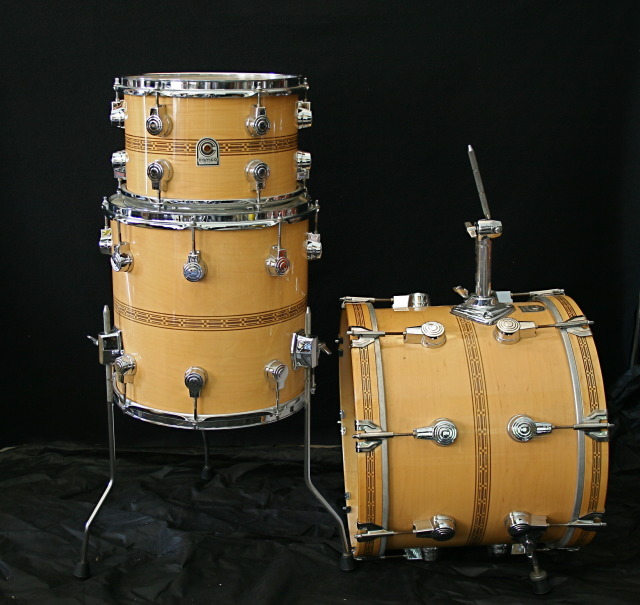 Apparently Tama did make a few maple shell drums around that period, but they were leftover Camco shells. In any case, this drum popped up on my Twitter feed and I immediately drove over to Dave’s Drum Shop to pick it up. 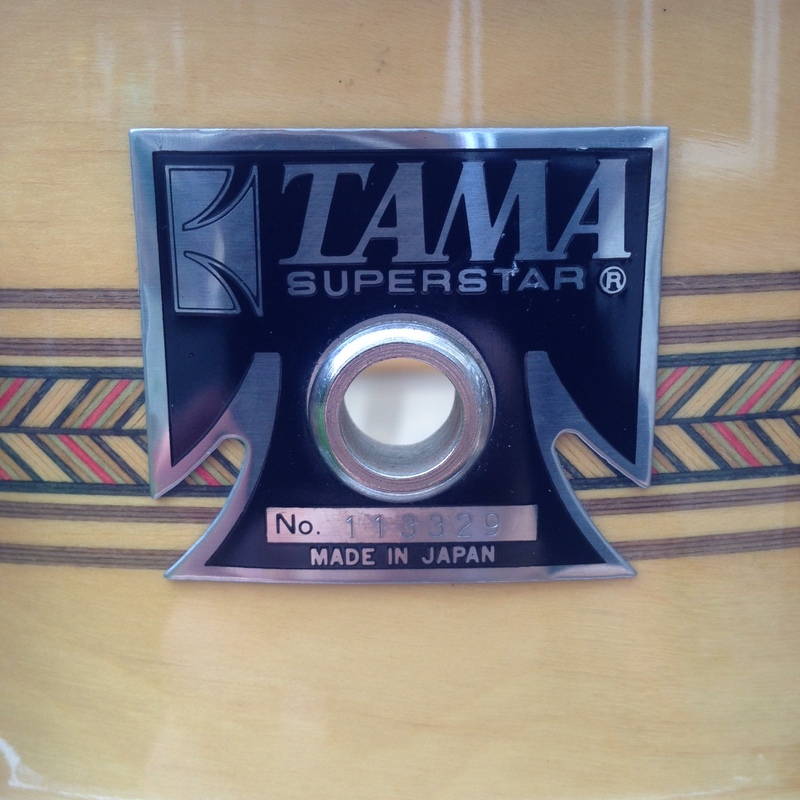 I’m a big fan of 80s Tama drums, and this Superstar version, with the nice inlay, was too pretty to pass up. 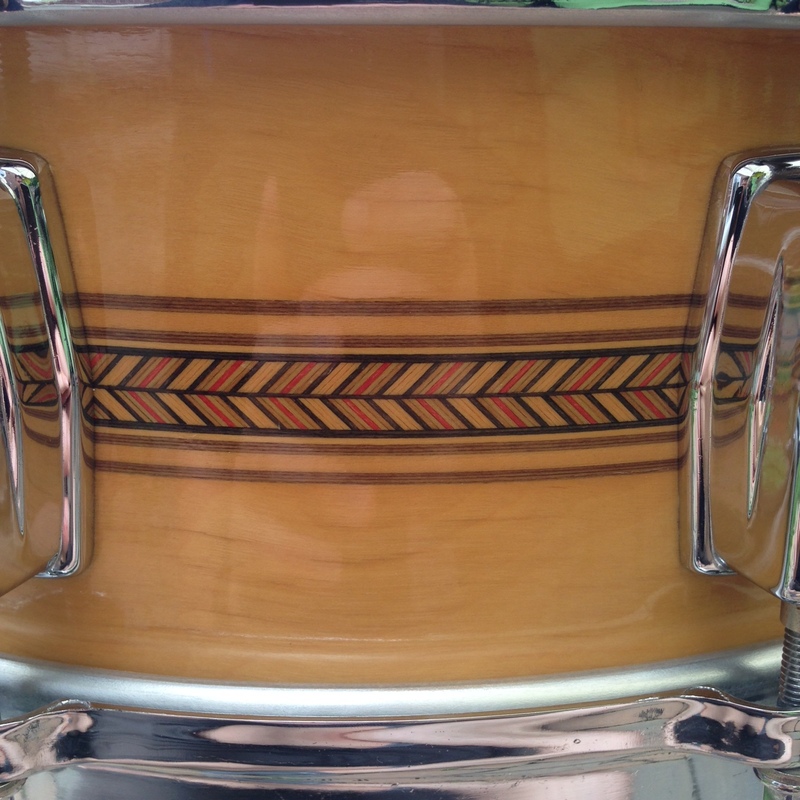 From what I’ve read, Tama made these inlay snare drums for only a short period of time in 1980 and 1981. The model numbers are AW-455 (5″ depth) and AW-456 (6″ depth), and it sounds like the 5″ depth is a bit more rare. There were two different inlay patterns – the angled one that’s on my drum, and the band that’s shown in the ad. While the badge on my drum says Superstar, the catalogue referred to these as Mastercraft Artwood. 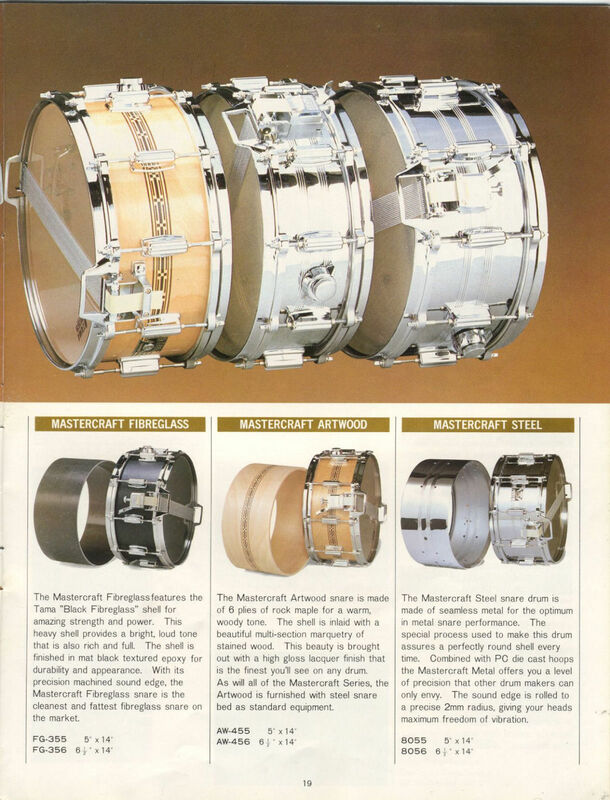 Mastercraft refers to the kind of snare strainer that’s used, and Tama began to use the Artwood name for its snare drum line around that time. I love the inlay on this drum. A simple element, but I think it immediately makes the drum more interesting than the majority of the drums I come across. I know Tama continues to use an inlay pattern on some of its higher-end drums, and of course Craviotto uses an inlay extensively, but I’d love to see more drum companies incorporate it into their designs. 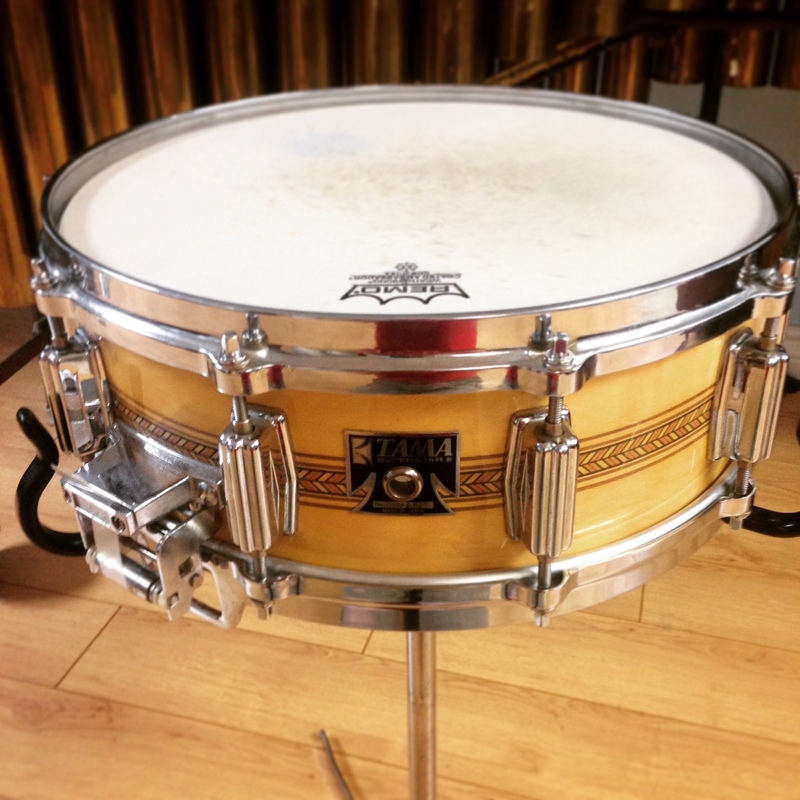 In trying to find information about this drum, I came across a few posts of these beauties. They’re a bit of a rarity from the late 70s when Tama had acquired Camco. I’ve seen them referred to as Hoshino badge – whatever you call them, I’d love to have a set. Just another thing to add to the list of future acquisitions.